I don’t usually buy fabric without a project in mind, but when I saw this reversible stripe and polka dot knit at Joann’s I purchased it. It’s a rayon/cotton blend and has a nice hand and drape. It’s available in teal and purple, also. 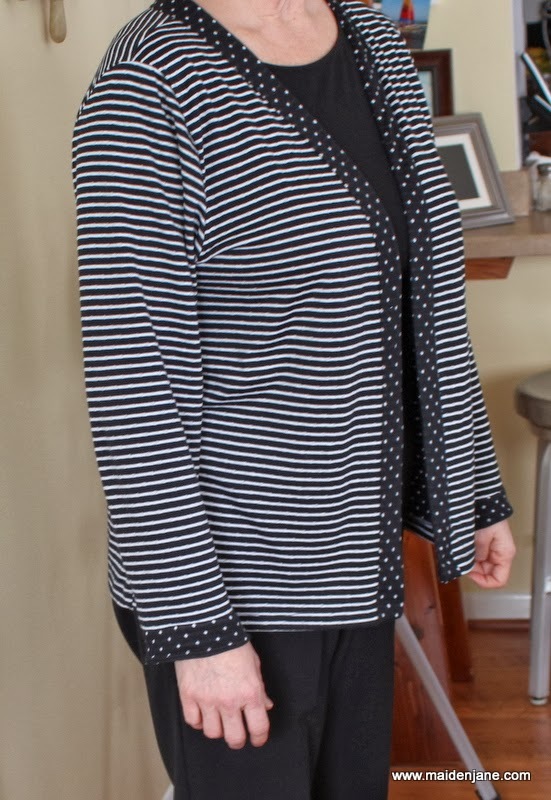 Stripes and polka dots make me happy and make me think spring! I wish it was available in navy. 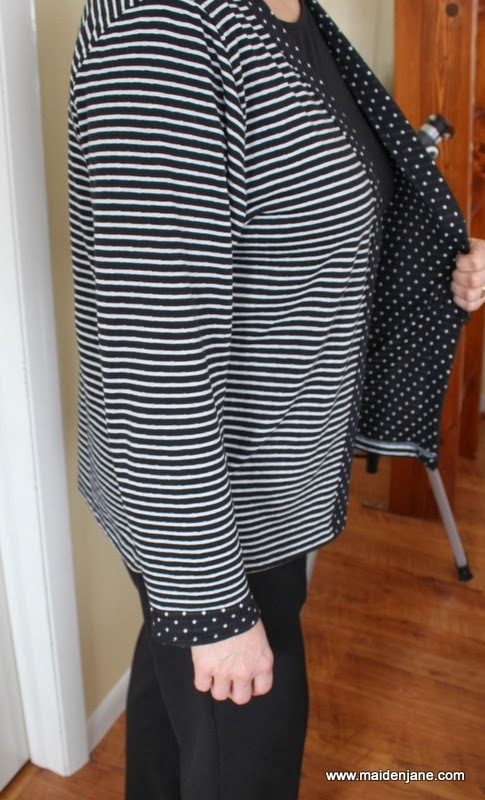 I was inspired by a striped cardigan over on Elle Apparel. 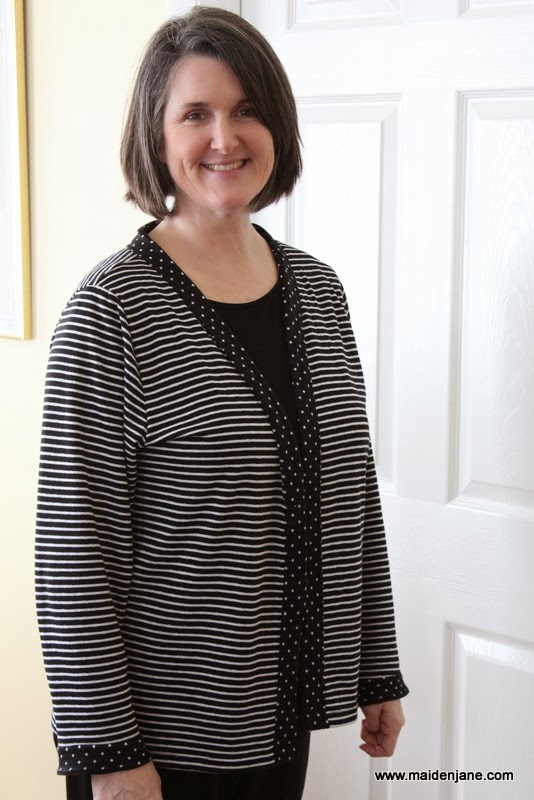 She used a cardigan to create a pattern and made a simple, long, wide-striped cardi. 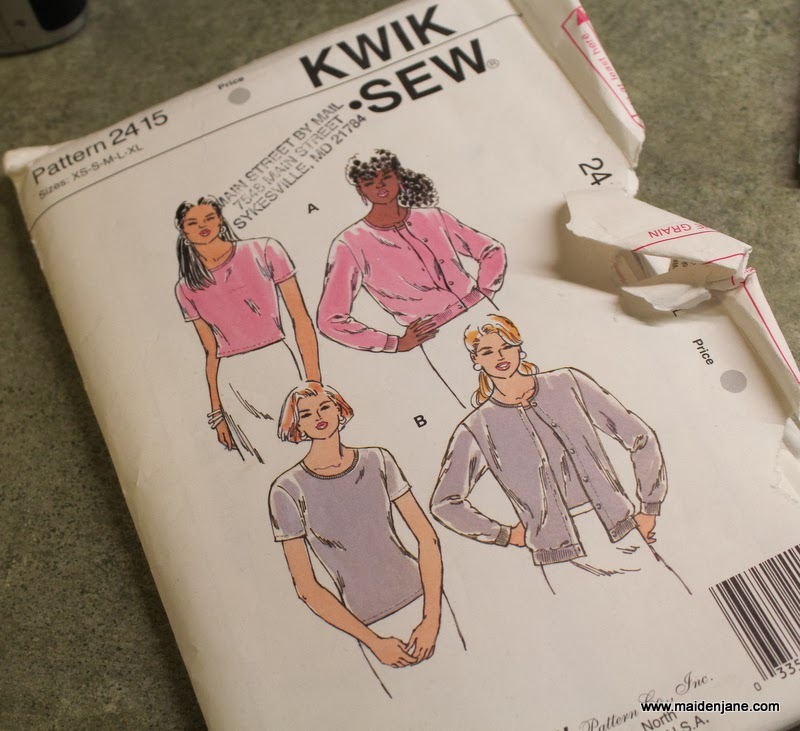 I looked through my patterns and found this Kwik Sew Pattern 2415. It is no longer in print. It is for a twin set (which I think I made.) 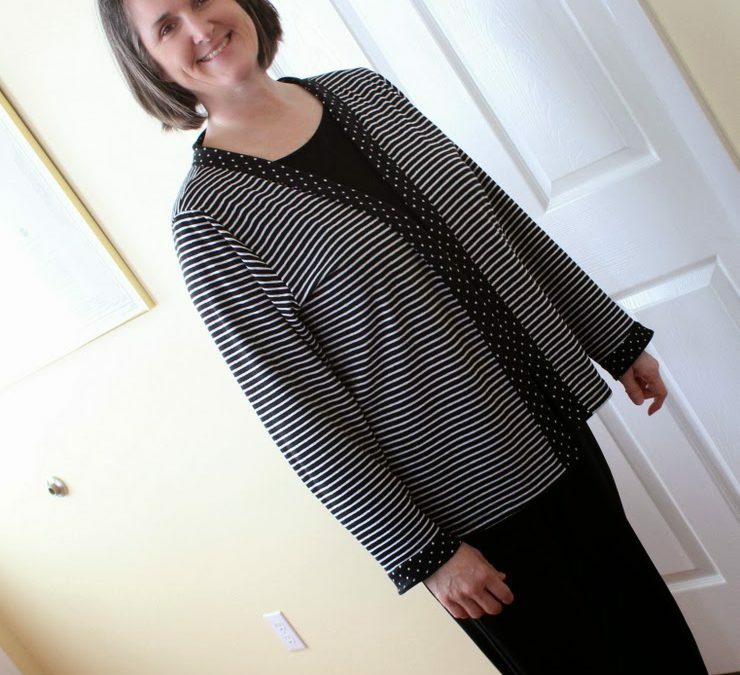 I really like Kwik Sew patterns. I used them quite a bit to make the kids clothes when they were little. 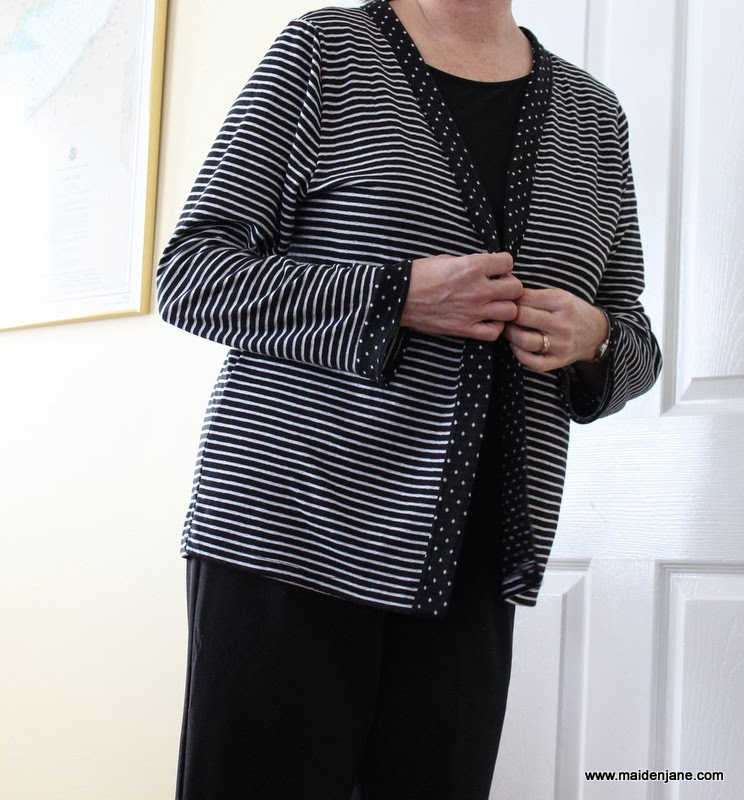 I started with the cardigan pattern in XL. 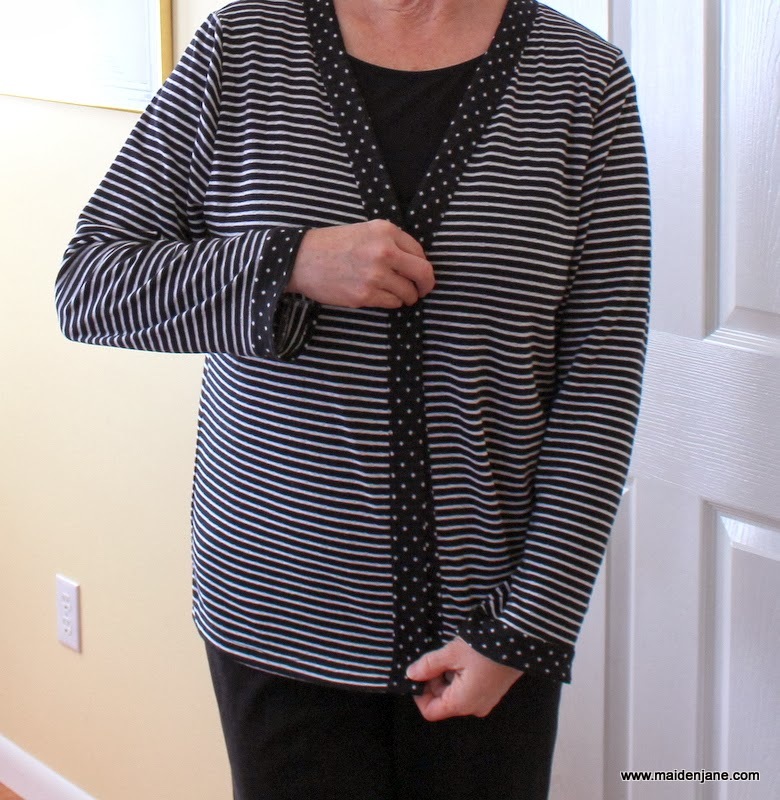 I modified the neckline to create a V. I added six inches to the length, but wish I had added even more. Actually, this length has a nice polished look. If I make another one, I think I would like it longer for kicking around. I wasn’t sure whether or not to add one button…. or a row of buttons. I asked my Facebook friends and most people suggested the one button. A few suggested none. Only the engineers suggested the entire row (my husband included!) I have yet to get back to the store to get a button. I also have to fix the sleeves. 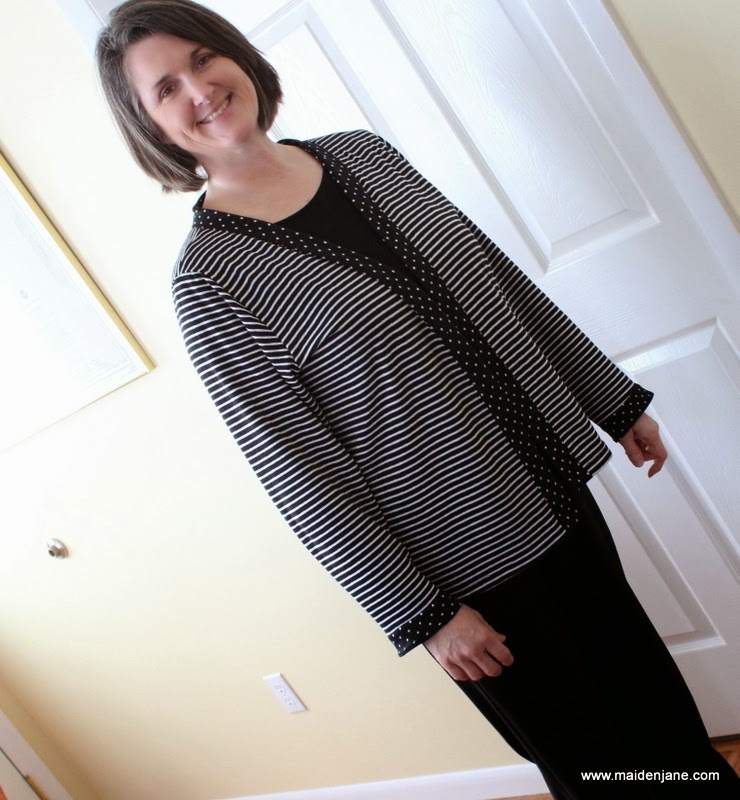 Because the pattern calls for banded sleeves, they are a bit too wide. I didn’t buy quite enough fabric and had to add the polka dot piece. I’m really happy with it, though. It was fun to spend a Saturday morning sewing something for myself.